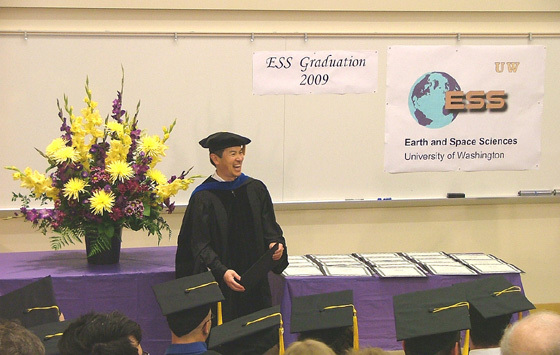 On Saturday June 13th, 2009, the UW Dept of Earth and Space Sciences held its annual Graduation Ceremony. The ceremony was hosted by ESS Chair Robert Winglee and assisted by Ed Waddington and Jody Bourgeois. 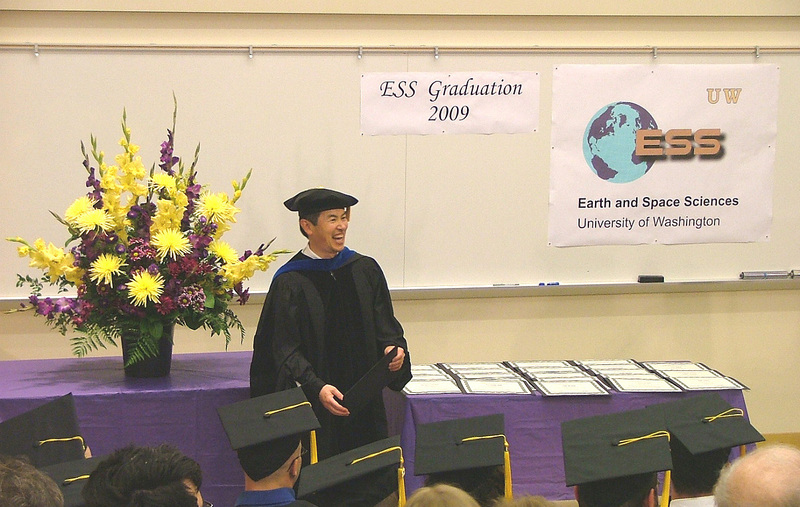 Receiving diplomas were 23 undergraduate students and 4 graduate students.